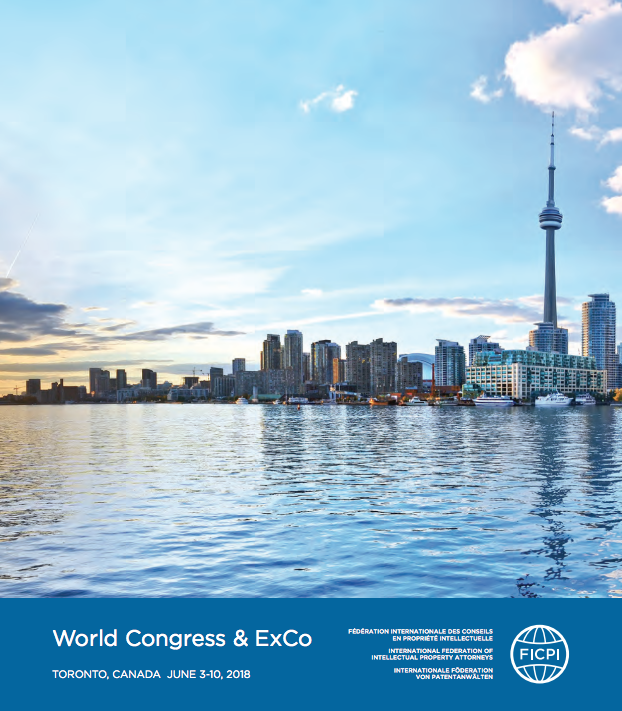 Senior representatives of Krouzer IP featured strongly at the International Federation of Intellectual Property Attorneys (FICPI) Executive Committee Meeting (ExCo) and World Congress staged in Toronto last June. Stephen Krouzecky, a Member of Honour, represented Australia at the ExCo as the head delegate and Peter Huntsman attended in support as a past President of Honour of FICPI. The ExCo, which is held annually, addressed the main intellectual property issues concerning the free profession of IP attorneys globally and resulted in 12 resolutions being adopted including European intellectual property rights, patent and design law harmonisation, trade mark examination, and ethical and professional rules for virtual IP firms. It also saw a changing of the guard with our new International President Julian Crump of the UK taking over from our past President Doug Deeth of Canada. Krouzer IP has worked with both Julian and Doug in the past as foreign associates of the firm and we congratulate them both on jobs well done. Our own Peter Huntsman moderated an important session at the World Congress concerned with recent developments in trying to harmonise the scope of patent-eligible subject matter globally, where nations have been able to set limits on what they considered to be patent-eligible subject matter. This has resulted in some major differences occurring what is able to be patented in one country in contrast to what is able to be patented in another country, especially in the realms of biotechnology and computer implemented inventions. Click here to view the slides presented by Peter.